Robin Black's story collection If I loved you, I would tell you this, was published by Random House in 2010 to international acclaim, and was followed by her debut novel, Life Drawing in 2014. 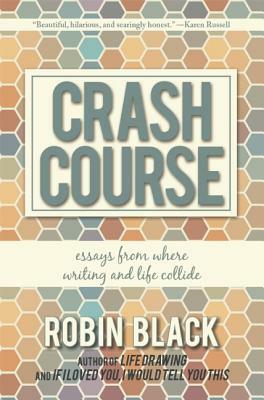 Robin's stories and essays have appeared in numerous publications including The Southern Review, The New York Times Magazine, One Story, The Georgia Review, Colorado Review, Alaska Quarterly Review, Freight Stories, Indiana Review, and The Best Creative Nonfiction, Vol. I (Norton, 2007). She is the recipient of grants from the Leeway Foundation, the MacDowell Colony, the Sirenland Conference and is also the winner of the 2005 Pirate's Alley Faulkner-Wisdom Writing Competition in the short story category. Her work has been noticed four times for Special Mention by the Pushcart Prizes and also deemed Notable in The Best American Essays, 2008, The Best Nonrequired Reading, 2009 and Best American Short Stories, 2010. She holds degrees from Sarah Lawrence College and the Warren Wilson MFA Program for Writers.